Tenuta San Guido is an Italian wine producer in the DOC Bolgheri in Toscana, known as a producer of “Super Tuscan” wine. 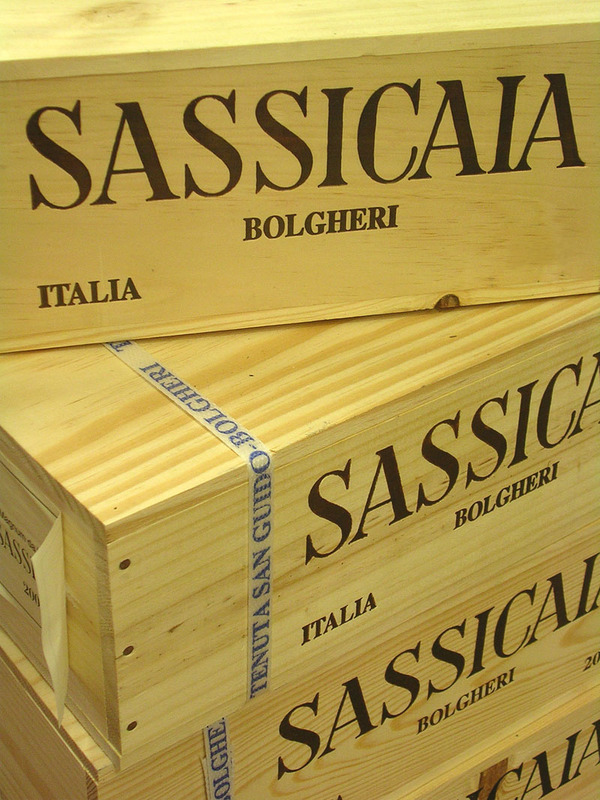 Its wine Sassicaia is considered one of Italy’s leading Bordeaux-style red wines.The estate also produces a second wine, Guidalberto, and the third wine Le Difese. Tenuta San Guido is member of the Primum Familiae Vini. Tenuta San Guido was established by marchese Mario Incisa della Rocchetta, who was also co-owner of Ribot, possibly the best horse of all time. Considered the seminal “Super Tuscan”, the name Sassicaia (Italian sasso meaning stone) indicating a stony field, originated in 1948 when first produced by Incisa della Rocchetta using Cabernet Sauvignon vines and for years only used for family consumption.A legend about these vines being sourced from Château Lafite-Rothschild,was dismissed by Mario’s son, Nicolò Incisa della Rocchetta, as the vineyard was planted from “cuttings from 50-year-old vines from a friend’s estate near Pisa”. 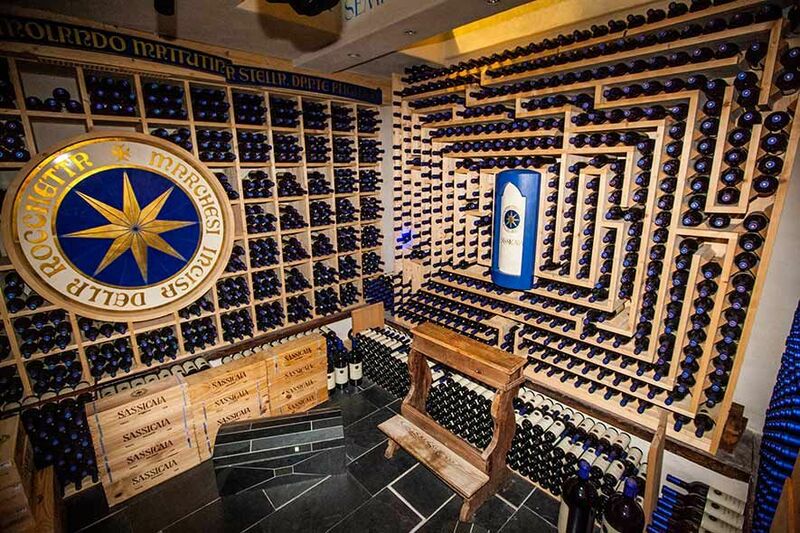 Though for years Sassicaia remained the marchese’s personal wine, his son Nicolò and nephew Piero Antinori convinced him to release it commercially, starting with the 1968 vintage, which was unveiled in 1971.Though initially there were only a few thousand bottles available, Sassicaia was an immediate hit with famed Italian critic Luigi Veronelli, who dubbed it “fairy-tale wine” (vino da favola), thanks to the wine’s complex bouquet and finesse. To keep up with the sudden demand, Mario Incisa della Rocchetta hired consulting enologist Giacomo Tachis to further refine the wine while increasing production. In 1994 Sassicaia was granted its own DOC (Sassicaia DOC), the only wine from a single estate in Italy to enjoy this privilege. Before that, and in similarity to other wines made outside the traditional DOC/DOCG regulations, Sassicaia was classified as an Indicazione geografica tipica (IGT). Initially it was a Vino da tavola, which is normally a category for wines of little complexity. Tenuta San Guido cultivates fruit from several plots scattered around Bolgheri extending 75 hectares (190 acres), with a grape variety distribution of 85% Cabernet Sauvignon and 15% Cabernet Franc. The annual production is approximately 180,000 bottles. The second wine, Guidalberto, was introduced in 2000, and is composed of 45% Cabernet Sauvignon, 45% Merlot and 10% Sangiovese, and has an annual production of 150,000 bottles. The most recent addition to the portfolio, Le Difese, is composed of 70% Cabernet Sauvignon and 30% Sangiovese, with an annual production of 120,000 bottles.